This map isn't intended for gameplay, why? 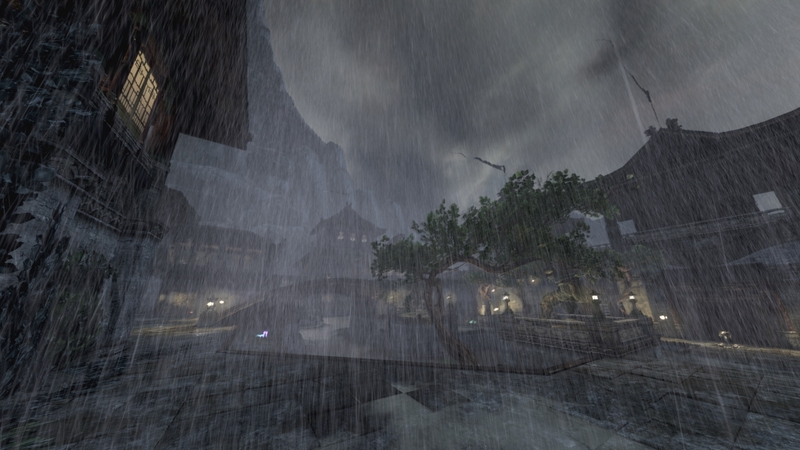 Because it features several thousand rain meshes. It was created for fun with no care for perfomance in mind. The enviromental changes from the stock, sunny winters day version are quite dramatic. With an intense storm raging overhead, gallons of rain falling from the sky lowering visibility and flooding almost everything. 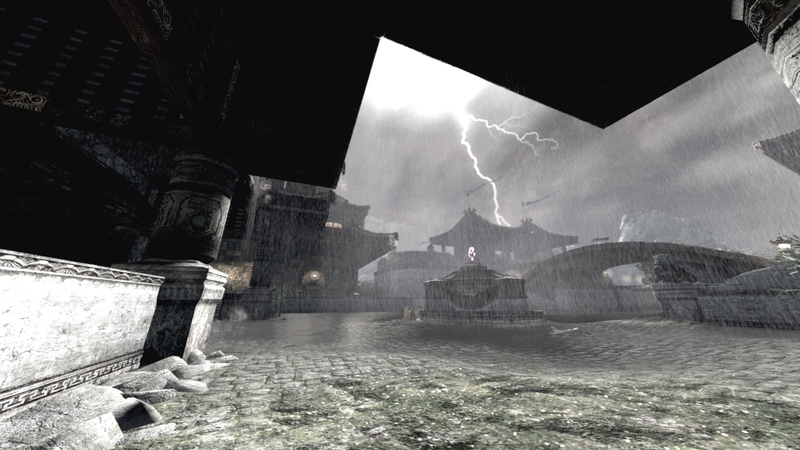 As flashes from lightning stikes light up the world around you. 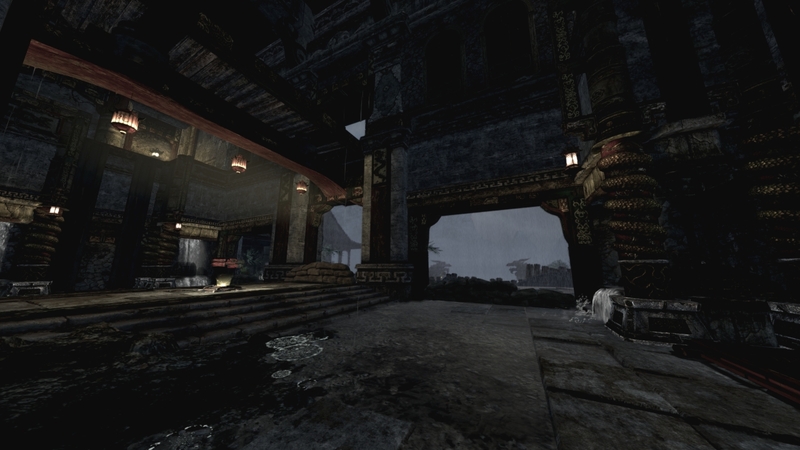 Although all of the gameplay elements such as weapon pickups are still included in this map, it wasn't intended for gameplay, and your FPS will suffer drastically on high settings. But feel free to download and have a look at it.